Online Privacy has been one of the biggest challenges in today's interconnected world, as the governments across the world have been found censoring the Internet, stealing information and conducting mass surveillance on innocent people. China is one such nation which always wanted to have a tight hold on its citizen and has long been known for its strict Internet censorship laws through the Great Firewall of China. 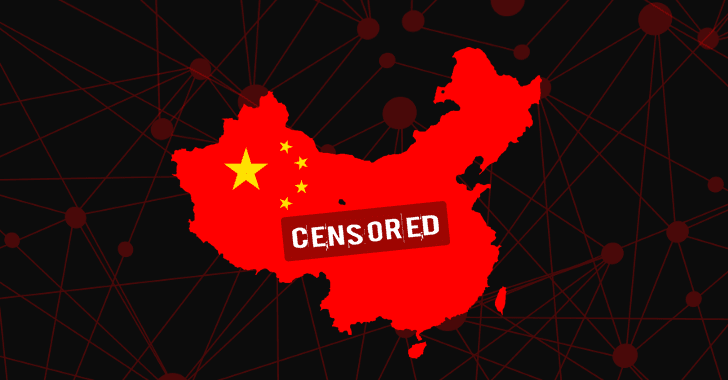 The Great Firewall of China is the nation's Golden Shield project that employs a variety of tricks to censor Internet and block access to various foreign news and social media sites, including Google, Facebook, Twitter, Tumblr, Dropbox, and The Pirate Bay. So, in order to thwart these restrictions and access blocked websites, hundreds of millions of Chinese citizens rely on virtual private networks (VPNs) which route their traffic to servers overseas free of the Great Firewall filters, but this may not be an option soon. GreenVPN, one of the most popular VPN services in China, notified its customers on Monday that the company would stop its VPN service from July 1st, following orders by "regulatory departments" to cease its operation, Bloomberg reported. However, not just GreenVPN, some users also stated that they were unable to use SuperVPN, another popular VPN service on their smartphones over the weekend, although it is unclear whether the service was down to a glitch or the government restrictions. This restriction could be part of new rules by the China's Ministry of Industry and Information Technology announced at the beginning of this year, making it illegal to use or operate local VPNs without government approval from the government. This crackdown on VPN services has been designed to "strengthen cyberspace information security management," as said by the Chinese ministry. The crackdown is yet one of the several priorities for controlling online content in China.